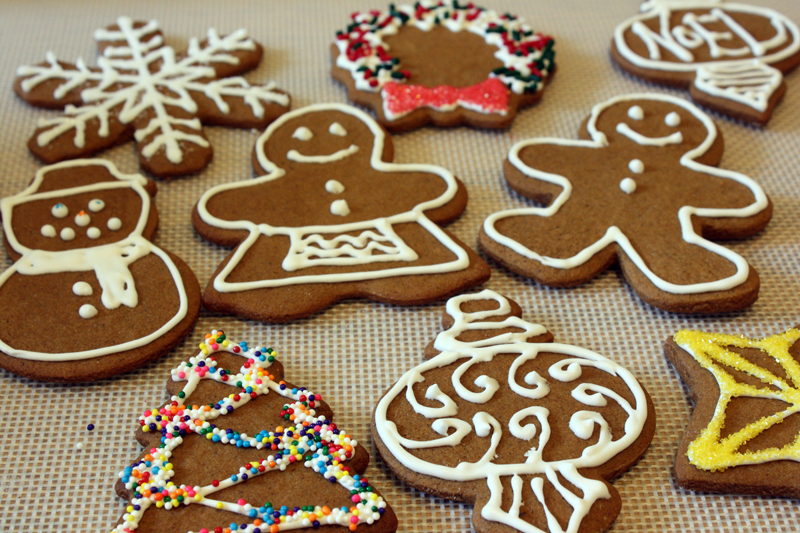 For me, Christmas is just not the same without cute, decorated cookies. Sometimes I make both sugar cookies and gingerbread men, but this year I decided to simplify things and just make one kind of roll-out cookies. Of course, gingerbread won, hands down. I ripped this recipe out of The Philadelphia Inquirer’s food section a few years ago and I’ve been making it every year since. This year I decided to replace the all-purpose flour with white whole wheat, which I’ve been doing with a lot of recipes lately, and they turned out great. 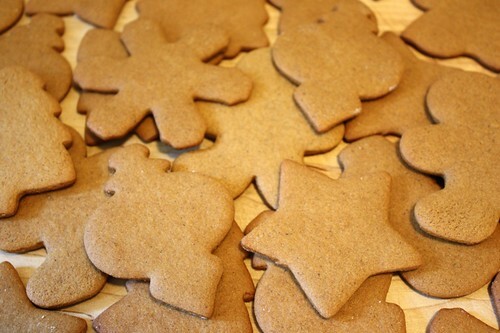 Now all I have to do is decorate them… and make the rest of the cookies on my list. Beat the butter with a mixer until light and fluffy. Beat in the brown sugar, then the molasses. Add the egg and mix well. Sift together the remaining ingredients and gradually add to the butter mixture, mixing well. Divide the dough in half, form into 2 discs, and chill for a few hours or overnight. Roll out on a floured surface to about 1/8 inch thick. 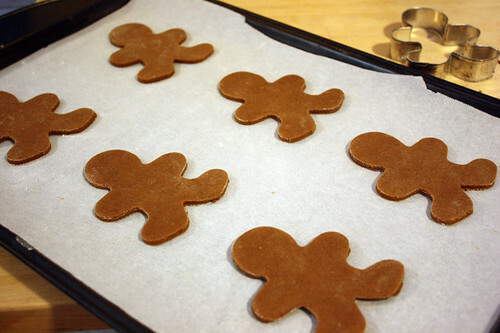 Use cookie cutters to cut out desired shapes, transferring to a cookie sheet with a spatula. Bake for about 6 minutes, rotating the pan after 5 minutes for even browning. Cool cookies on a wire rack.